Typhoon Neoguri is causing high winds and flooding in the Pacific Ocean. The storm has weakened to the strength of a Category 3 hurricane, but strong winds are hitting the island of Okinawa. On "New Day" Tuesday, storm chaser James Reynolds described conditions around the typhoon. "Earlier today, I saw the biggest wave I've ever seen in my life," he said. Landfall is expected Thursday morning on the island of Kyushu, corresponding to Wednesday evening in the eastern U.S.
Neoguri is forecasted to hit as a weak typhoon or strong tropical storm. While winds will make an impact, flooding rain is the biggest threat as the area has been soaked in the past week with up to 11 inches of rain. You can follow Indra Petersons, reporter Will Ripley, and CNN Weather for updates on this storm. In today's edition of the "Good Stuff," we meet a 6-year-old on a mission to ensure nobody is forgotten. CNN's Michaela Pereira reports. 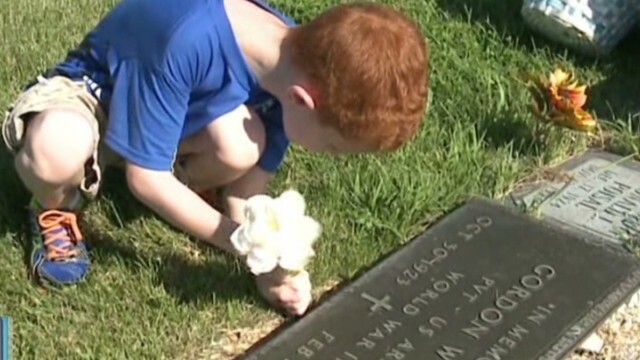 Braden Johnson of Garden City, Missouri, was at a local cemetery three years ago when he noticed that some of the grave sites were missing flowers. Ever since, Braden has been determined to fix that, placing one single, white flower on each grave. The simple and touching gesture has prompted his community to take note. "He has lemonade stands, he sells brownies, he does whatever he can to raise money - it makes me want to cry - but to raise money to buy flowers to put on everyone's grave, so no one's left out," Garden City resident Holly Miles said. After hearing about Braden's good deed, Miles was so moved by his kindness that she alerted a local news station, which donates money to outstanding individuals who exemplify the act of "paying it forward." Miles, along with the news station, presented Braden with $300. When asked why he goes above and beyond, Braden said he just wants to honor those who have passed away. See the full story at CNN affiliate WDAF, and if you have #GoodStuff news, let us know. You can reach us on Facebook, tweet to @ChrisCuomo or @NewDay using #NewDay, and submit your story on iReport. In today's photo of the day, we see this behind-the-scenes shot from CNN reporter Will Ripley. Ripley is covering Typhoon Neoguri as it lashed Okinawa with strong winds and heavy rain Tuesday as it spun near the Japanese island. "The (not so) glamorous life of a network producer. 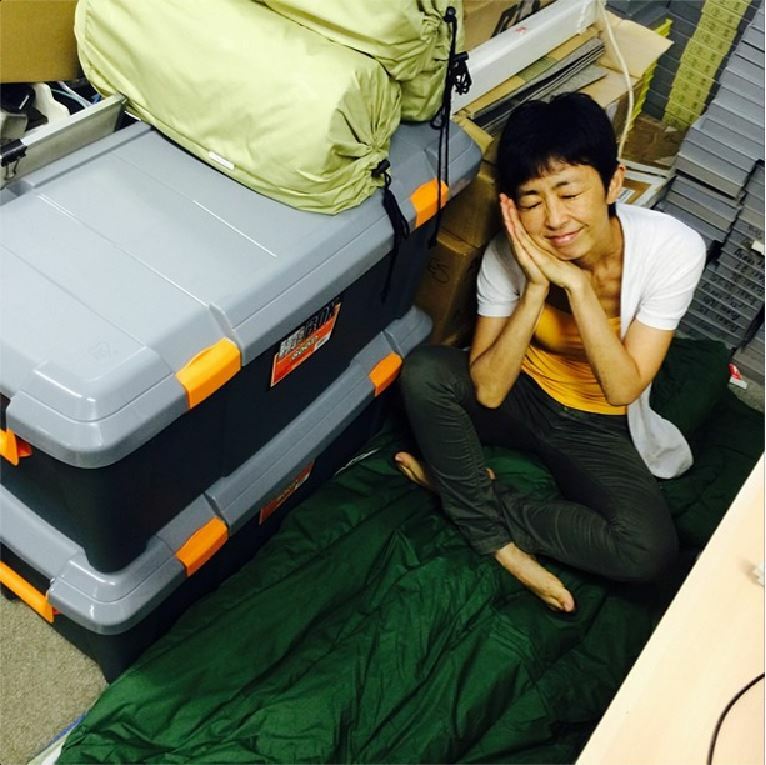 Yoko slept here during a break in our typhoon coverage," Ripley shared.